To visit the city of Naples is to dive headfirst into a journey back through 27 centuries; a fascinating itinerary crammed with extraordinary landmarks and stunning remains, dating from modern times back to the Greeks. 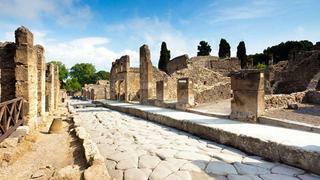 Pompeii is one of the world’s most-known archaeological sites. The guided tour lasts approximately two hours as it takes you on a journey through the ancient roman city that is firmly frozen in time. 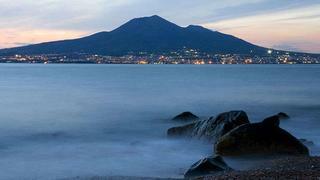 After a long sleep, Mount Vesuvius erupted in 79 AD and destroyed the city of Herculaneum along with Pompeii. The eruption was apocalyptic. 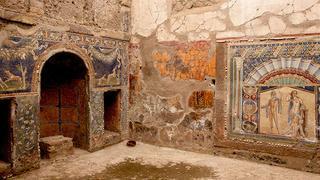 Herculaneum, was once reserved as the holiday destination for the wealthy Romans. The sumptuous villas on the sea are evident of this. The two-hour tour includes visits to the interiors of the homes of Herculaneum’s wealthiest citizens and ancient street cafes where locals dined. Guests will learn about traditional Roman cuisine, the gymnasium, the thermal baths and enjoy numerous anecdotes about life in Herculaneum. After an in-depth tour of the ruins of Ancient Pompeii or Herculaneum, the excursion can continue on to Mount Vesuvius, the legendary volcano that dominates the landscape and looms ominously over Naples and its environs. Vesuvius is accessible by car up to 1000 metres, from there, guests can take a 30-minute hike to the crater of this active volcano. The aftermath of the previous eruptions has created a lush-green environment on the slopes of Mt. Vesuvius where vineyards cling to the hillsides and the air is scented by citrus groves. The view from Mt. Vesuvius on a clear day is stunning. See the city that lies beneath and is hidden from the naked eye. 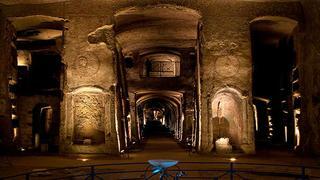 The special tour of the Underground City includes 5,000 year-old, carved-out caves and slightly more recent Roman water systems. Note the underground cemetery, initially used as an illegal graveyard for the indigent. This tour offers a fascinating viewpoint few ever see. The Chapel of Sansevero was built in 1590 and decorated for Raimondo di Sangro, Prince of Sansevero. The majestic interior of this chapel is adorned with ornate frescoes and sculptures. The most outstanding sculpture is Giuseppe Sammartino’s Veiled Christ, depicting the lifeless body of Christ after the crucifixion beneath a transparent veil. This magnificent museum displays treasures forming one of the most comprehensive collections of Greek-Roman artifacts in the world. It houses the rich collection of antiquities as well as the treasures that had been discovered at the sites of Pompeii and Herculaneum. Facing the grand Piazza Plebiscito, this magnificent palace was built around 1600 to host the King of Spain. From the courtyard a huge double staircase leads to the royal apartment with a valuable art collection spread out over 30 rooms.